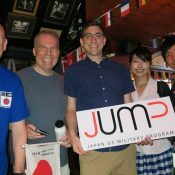 D.C. Area JUMP Members gathered to cheer on Japan in the World Cup! We watched the Japan vs. Senegal game at 11 am on Sunday, June 24, at The Lucky Bar in downtown D.C. Japan tied Senegal, 2-2. 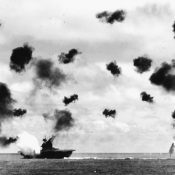 VADM Koda gave a presentation on the Battle of Midway based on his original research in a YCAPS-JUMP Seminar. 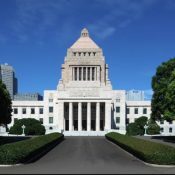 On May 28, YCAPS-JUMP members were given a private tour of Japan’s National Diet Building. The (fully-booked) event included a social lunch and briefing on the Japanese Diet and legislative process by Japanese politics specialist Michael Bosack. 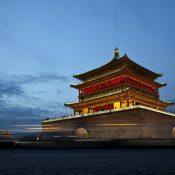 In a Yokosuka Council on Asia-Pacific Studies-JUMP seminar on May 16, 2018, experienced Indo-Pacific analyst, widely published author and YCAPS executive committee member, Tuan Pham described his observations about China’s strategic decisions of the last year and predicted what we can expect to see in the year to come. 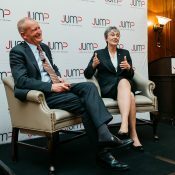 The third Japan-U.S. Military Program (JUMP) Annual Dinner on Wednesday, March 28, at the Army and Navy Club on Farragut Square in Washington, DC, featured a keynote speech by Secretary of the Air Force Heather Wilson. 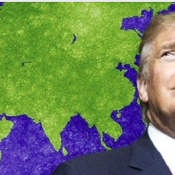 Walter Lohman, Director of Asia Studies at The Heritage Foundation in Washington D.C., described the Trump Administration’s policies and Washington experts’ views regarding the dynamic Asian landscape at a Yokosuka Council on Asia-Pacific Studies event on March 8. 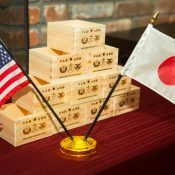 Active and retired US Navy service members and civilians who have been stationed in Japan were invited to reunite at a reception and dinner on March 1, 2018, at the Washington Navy Yard. Yokosuka Council on Asia-Pacific Studies (YCAPS) and JUMP held a discussion with Ambassador Ichiro Fujisaki on February 27. This was YCAPS first event near Yokota Airbase, a keystone facility for U.S.-Japan Alliance cooperation. 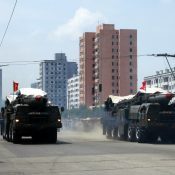 North Korea poses an increasingly complex security challenge for Japan, its neighbors, and its American allies. In response, the Japanese defense posture has been evolving. Yokosuka Council on Asia-Pacific Studies and JUMP on January 17, 2018 held a seminar on this topic by VADM Fumio Ota (JSMDF, retired). In this talk, VADM Ota explained why he believes that evolution is not fast enough and does not include all of the correct elements. 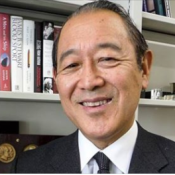 He outlined his thoughts on the best policies and strategic actions for the government of Japan to initiate. On November 30, JUMP and the Japan-America Society of Northwest Florida participated in a “Walk in the U.S., Talk on Japan,” a program on U.S.-Japan relations featuring a group of delegates from Japan with experiences in civil service, Japan’s Self-Defense Forces, and more. This program was also supported by the National Association of Japan-America Societies, the Consulate General of Japan in Miami, and the Cabinet Office of the Government of Japan.